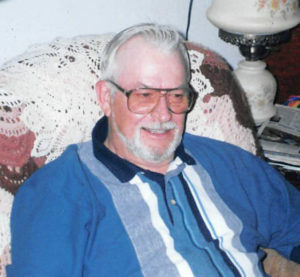 John James Boer, age 85, of Arkdale, Wisconsin died Monday, January 28, 2019 at Moundview Memorial Hospital & Clinics in Friendship, Wisconsin. Funeral services will be 12:00 Noon on Tuesday, February 5, 2019 at the Roseberry’s Funeral Home in Friendship, Wisconsin. Pastor Janet Ruark will officiate. Interment will be at the Easton Cemetery, Town of Easton, Wisconsin. Visitation will be 10 a.m. until the time of service on Tuesday at Roseberry’s Funeral Home. John was born May 11, 1933 in Adams, Wisconsin to John M. and Hazel (Bisbee) Boer. He graduated from Adams-Friendship High School in 1951. John married Jane Reichhoff on November 8, 1952 in Adams, Wisconsin. The couple enjoyed 66 years of marriage. John spent his working life providing service to the citizens of Adams and Friendship. Serving as Friendship Village Engineer and later operating highway equipment for the Adams County Highway Department. It’s almost impossible to look around Adams and Friendship without seeing something John worked on, built, or maintained. John enjoyed carpentry, gardening, tending to his vineyard of grapes and orchard of fruit trees, driving his tractor around his land, working on his sawmill, fishing, and camping. He built or remodeled all of the homes John and Jane had lived in. He especially enjoyed his new best friend, Cat, an orange feline who followed him everywhere. John was a member of Friendship Volunteer Fire Department, Quincy Masonic Lodge #71, the Scottish Rite and Zor Shriners, and Master Mason. John was preceded in death by his parents, John and Hazel Boer; brother, Donald Boer; sister, Betty Rose; sister, Doris Collins – who passed just hours before him; brother-in-law, Ken Collins; brother, Roger Boer; Brothers-in-law, Robert Hayes, Edward Laabs, and Robert Kunkel; sister-in-law, Agnes Reichhoff; in-laws: Blanche (Skirowski) and Darwin Smith; and in-laws, June and Herb Gulrud. My sincere and deepest sympathy to Wanda, Dennis and all the family. So very sorry to learn of John’s passing. He was such a genuinely nice guy. I will miss his friendship and laughter. Condolences to Jane and family. Sorry to hear of John’s passing I worked with him years ago when he worked for the Village, also at the same Fire Department. He was a good man and will be missed. Jane Im so sorry to hear of John,s passing away. You know I think the world of you both. He will be greatly missed. The lord will take good care of him. You both have always been wonderful friends. I want you to know im sending my prayers. Patty Schiefer and family. I was so shocked to hear of John’s death. Please know you are all in my thoughts and prayers. So sorry for the loss of your husband and dad. It is so sad when loved ones are taken too soon. I am sorry that I can not be there for the funeral. It is nice to see relatives we don’t see very often, even when the circumstances are this sad. Aunt Jane so very sorry for your loss, not only Uncle John but Doris too. Prayers to all your family. So sorry for your loss. Many memories from Quincy street. Jane and your whole family, I am so terribly sorry for the loss of John. It doesn’t seem possible that God would take John and his sister Doris home on the same day. We will never know until our day comes. He is now with June and Herby and the rest of your family, and know how sorry we are for you! The memories of all the kids we could get into those cars to go from house to house. I was the youngest, and the tag along, but would not have changed it for anything. May God take you in his arms and let you grieve. So sorry to hear this, condolences to you and your family. So sorry to hear of John’s passing. He was a part of my life as long as I can remember. He helped my dad, Berlie remodel the home I grew up in and where my mom, Joyce still lives. Dad had the City of Adams and John had the Village of Friendship. When his daughter Wanda married my brother-in-law Dennis it almost seemed to me like John became the Uncle figure I felt he was. Do sorry for your loss, you have our sincere condolences. Aunt Jane and family, Your loss will be felt by many for a very long time. I have great memories of you and Uncle John playing cards with my mom and dad. We had so much fun playing with Butch, Wanda, Denise and Karen. Let all of your memories with John bring you comfort. Love you all and send my prayers for your comfort and peace. My heartfelt sympathy to the family. So sorry to hear of Johns passing. My thoughts and prayers for you in this sorrowful time. Jane and family , Deepest Sympathy for your loss of John and Doris. My love to Jane and all of the family,John was such a talented person and a good friend to all of my family. Always there to help Berlie when he was alive .Keep the memories alive. So sorry Jane and family for your loss of John. John will be missed he was a very great man. Jane & all of Johns family- We are so sorry for this double whammy! Hans & I feel your pain as these were special cousins. He will always be in our hearts. May God comfort all of you & give us all strength at this time. Jane you have our phone number & know where we live so we are here for you. Sympathy and prayers to family and friends of John and Doris so hard to believe both are gone, Difficult to be strong but may God’s love be with you. So sorry Jane. Good memories of doing business with you and John. A fine man and so many talents. May God give you comfort at this difficult time. So sorry to hear of John ‘s passing. Jane may God comfort you and your family. So sorry to hear of John’s passing. Jane, so very sorry on your loss Hold your memories close they will comfort you during this difficult time.